Tesla Motors’ new Model III has the potential to become the 21st century’s Model T by introducing the electric car to the mass-market consumer and causing disruptive change in the automobile industry. Earlier this summer, Tesla Motors announced some initial details for its forth car, the Model III. According to Tesla, the new electric car will be sold starting in 2017 at a starting price of $35,000. At $35,000, the Model III would be half of the starting price of the Model S, Tesla’s most successful car so far. A $35,000 Model III would make the electric car more affordable for the masses, even though it would be priced at double the starting price of a 2015 Toyota Corolla. In spite of the higher price, the Model III could make up the price difference during its lifetime, given that it is powered by electricity as opposed to the significantly more expensive gasoline used to power internal combustion engines. Due its high potential for industry disruption, some reports have already compared the Model III to the iconic Ford Model T, which marked the start of the development of the golden age of the American automobile industry. Some have also argued that the Tesla Model S is the 21st century Model T, but since the high cost makes the Model S inaccessible for regular consumers, the more affordable Model III may turn out to be a more apt comparison to the historic Model T.
A successful introduction of the Model III would be the next step in Tesla’s efforts to make electric cars accessible to the regular consumer. The company started its production of electric vehicles with the Roadster, which was a very fast and expensive car that only a distinct niche market could afford. The Model S, however, was a much more refined car that was infused with a plethora of innovations, such as the integration of computer systems into the dashboard to create a new type of user interface. The engineering and design of the Model S lead to the car being named 2013’s car of the year by both Motor Trend and Automobile magazine. The success of the Model S lead Tesla to its first profitable quarter in 2013, and installed a higher degree of investor confidence in the company. Currently, Tesla is selling 3,000 Model S cars a month, all of which are produced in Fremont, CA, factory. However, in terms of the automobile industry as a whole, Tesla Motors is still a small fish in a very big pond: Electric cars, including the Model S and hybrids, such as the Chevrolet Volt, only account for barely 1% of total new vehicle demand. One should also keep in mind that Ford sells about 3,000 F-Series pickups every 36 hours, making their production volume ~20x larger than Tesla’s current volume. One of the major reasons why Tesla has not yet been able to offer a more affordable car model, which can also be mass-produced at a scale comparable to Ford’s automobile production, is the production cost and supply chain challenges of lithium ion (Li-ion) batteries. Tesla’s electric powertrain relies on Li-ion battery cells that provide the electrical energy to propel the car forward and maintain the computer systems for the user interface. Some industry analysts believe that the battery costs alone amount to $35,000 for the Model S. This already represents half of the starting price of the Model S, and equals the estimated price of the Model III. If Tesla wants to have any realistic chance of producing a mass-market Model III, the company has to find a way to cut its Li-ion battery system costs substantially. Fortunately for Tesla, and the many other industries relying on Li-ion batteries for energy storage, the cost of Li-ion batteries has been dropping significantly and continues to decrease. In 2013, a kilowatt hour (kwh) of Li-ion storage cost $500, and research analysts at Navigant Research believe that prices will continue to drop to $300 by 2015 and $180 by 2020. Further analysis of the Tesla Model S reveals that Tesla may be buying its Li-ion batteries at even cheaper rate that Navigant’s industry analysis estimates. The discrepancy in prices originates from the fact that the Li-ion battery industry is navigated by many private deals with a limited number of suppliers, making it difficult to estimate the fair market price of Li-ion cells. Furthermore, large buyers of batteries, such as Tesla, likely also pay below market rates due to their large demand for vast amounts of cells. As the price of Li-ion batteries continues to drop, electric vehicles will become more and more affordable, increasing their potential to penetrate the automobile market. Another factor influencing the competitiveness of electric vehicles (EVs) is the price fuel, which has been rising. The diagram below by McKinsey & Company indicates how fuel and battery prices influence the competitiveness of different EV models in the consumer market, including full EVs and hybrid cars. Tesla aims to bring down battery cost further and scale their production of all their EV models with their proposed Gigafactory. The Gigafactory will focus on scaling battery production for all of Tesla’s EV models, with the final assembly of the cars remaining in Fremont, CA. The the $6 billion Gigafactory will be build in Nevada, creating an estimated 6,500 jobs new jobs in the state. The success of the Model III and the Gigafactory are intertwined, as one relies on the success of the other. A failure of one of the projects would have tremendous consequences for the future of Tesla Motors as a company. Tesla has already chosen Panasonic as the main battery supplier for its Gigafactory, and Tesla’s engineering efforts are likely to continue the trend of redesigning commoditized battery cells in order to make them simpler and less expensive. Tesla is planning to finish the location scouting and design of the factory before the end of this year, so that the company can start with the construction of the facility before the end of the year. According to their plan, the factory should be finished by the end of 2015, followed by a year of equipment installation and production launch in 2017, the same year Tesla plans to release the Model III. The decision to build the Gigafactory has also drawn attention that Tesla Motors want to catalyze transformations in battery technology, especially since the company has converted its EV patents to open source patents, which allows anybody to use the technology and expand upon it. 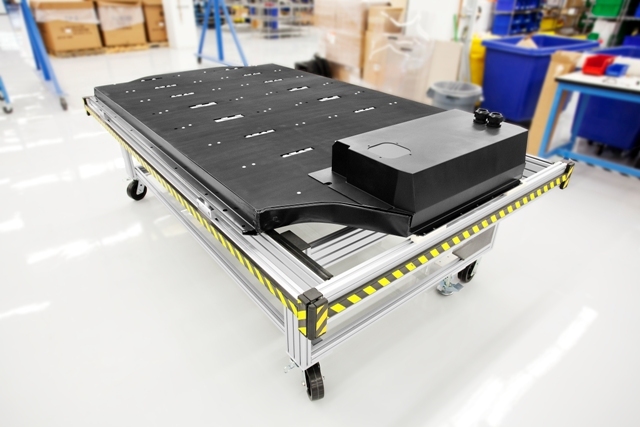 Tesla’s and other EV car maker’s demand for Li-ion battery has also catalyzed tremendous technological advancements and economic growth in Li-ion battery systems. According to Navigant Research, this increased demand from electric cars will lead the market size for Li-ion, which is under $6 billion today, grow by more than 4x to $26 billion by 2023. 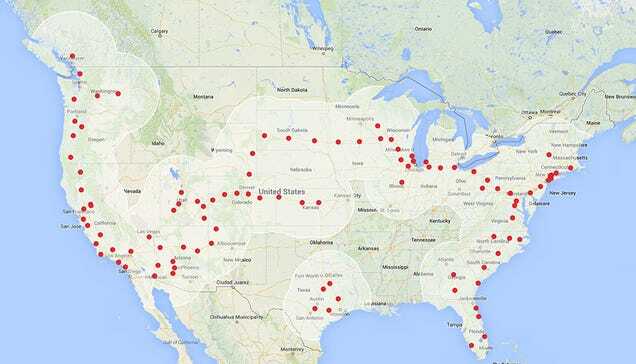 In addition to innovating in automobile interface design and battery technology, Tesla Motors has also been building a supercharger network across the United States. These supercharger stations allows Tesla owners to charge their EV in just 30 minutes. The network is already covering over 80% today, and has been used for coast-to-coast road trips from Tesla employees and enthusiasts. By building the network, Tesla is already preempting the infrastructure challenge that the Model T faced when it entered mass production in the 1920s. When the Model T entered the market, gasoline was sold in small glass jars at some specialized stores. The introduction of the car to the regular consumer catalyzed the development of the extensive gas station network and automobile infrastructure, including the redesign of many cities and streets, that we see in the United States today. Tesla Motors may already be very progressive on some of the challenges of creating a vibrant environment for electric vehicles, but transformative innovations do not occur without major obstacles and setbacks. Tesla’s track record has been full of many innovative plans and ideas that have captured the imagination of many, yet the execution of the plans is often pestered with significant delays from the original timeline. This is also happening currently with the Model X, Tesla’s SUV model electric car. In spite of the struggles and delays, Tesla Motors has shown that the company eventually does deliver on its promises. Only time will tell if the Model III will be 21st century version of the of the Model T, but it seems that history may have to wait a little longer than anticipated. Electric cars are becoming cost competitive in simple economics, but they have an additional barrier to overcome: Gasoline cars are better at providing “peak mileage” travel, i.e., being able to drive several hundred miles in a single day with only minimal refueling time. The electricity industry faces a similar problem (and it stands as a barrier to renewables) — combustion turbines don’t pencil out for generating electricity in average conditions, but they are the simplest cheapest way to get power during the few peak hours of the year. EVs haven’t yet achieved this goal. Tesla’s refueling network goes toward that objective, but the question is whether than network will spread sufficiently to get to a critical mass, or will it go the way of the Betamax video recorder.